An eLearning programme aiming to improve prescribing competency and safety among General Practitioners. The programme consists of 24 modules covering a range of therapeutic topics and aligns with GMC guidance on safe prescribing. The programme is currently being trialed by GP trainees in the West Midlands and will be made more widely available in the near future. It is currently in development and due to launch in early 2018. General Practice SCRIPT is an eLearning programme, which aims to improve prescribing competency and safety among General Practitioners and GP trainees. In 2010, the GMC’s PRACtICE study, which investigated prescribing and monitoring errors in general practice, found that 1 in 20 prescription items contained either a prescribing or monitoring error, affecting 1 in 8 patients. General Practice SCRIPT was commissioned by Health Education England and is being developed by the University of Birmingham and OCB Media Ltd.
General Practice SCRIPT consists of 24 modules covering a range of therapeutic topics and aligns with GMC guidance on safe prescribing. Each module takes around 30 – 60 minutes to complete. All course materials have been authored by a team of expert healthcare professionals, and will be regularly reviewed and updated. General Practice SCRIPT has been accredited by the RCGP as a high quality and relevant educational resource. SCRIPT enhances GP’s knowledge and confidence in prescribing correctly, improving patient safety. 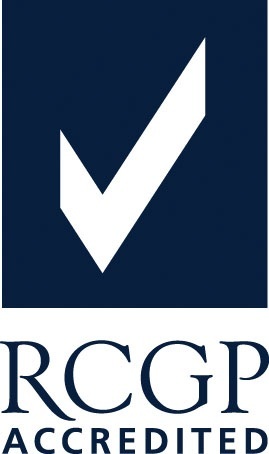 SCRIPT aligns with GMC guidance on safe prescribing and has been accredited by the RCGP. After doing one module, I realised I had made an error in converting a dose of lithium from tablets to liquid. I was able to contact the patient and correct the error. 24 modules in 4 categories – coming soon!